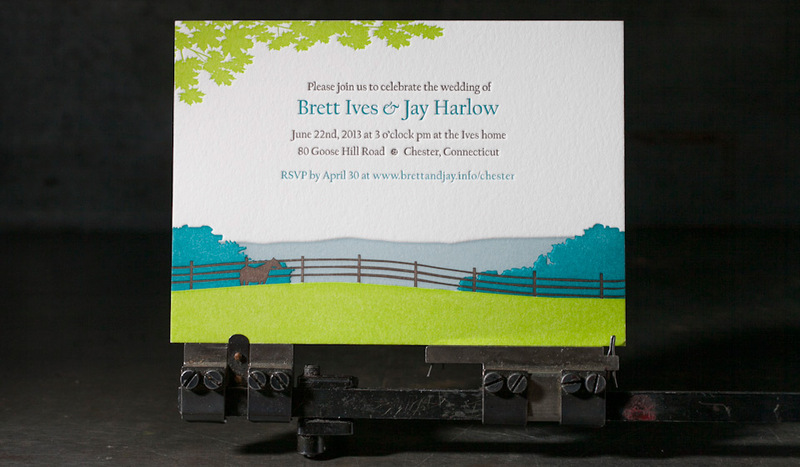 4-color letterpress invitation | Boxcar Press letterpress printing. letterpress printing. Crane Lettra 220# cover in pearl white. 4 letterpress inks (4625u + 5513u + 320u + 381u). 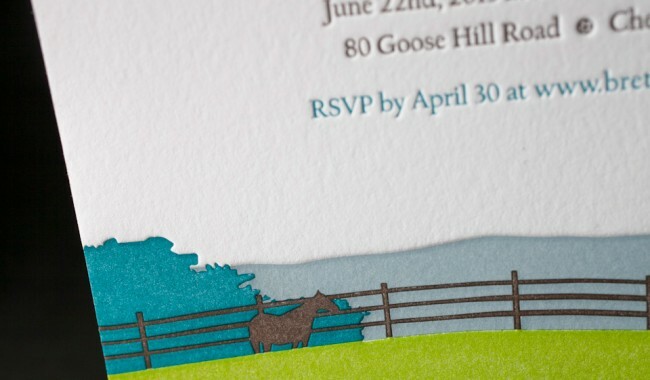 the letterpress wedding invitation (4.5” x 6.25”). 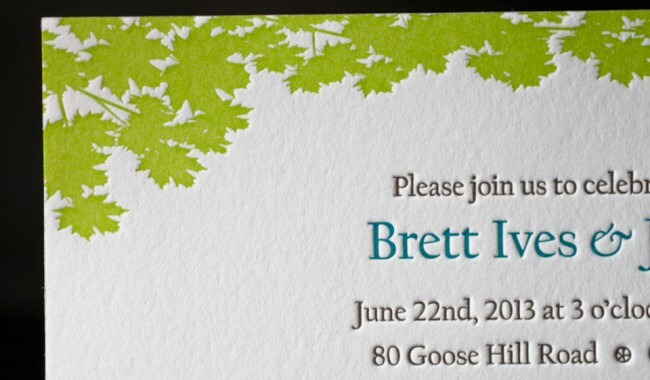 Brett and Jay created this invitation for their intimate, at-home wedding celebration in Connecticut. 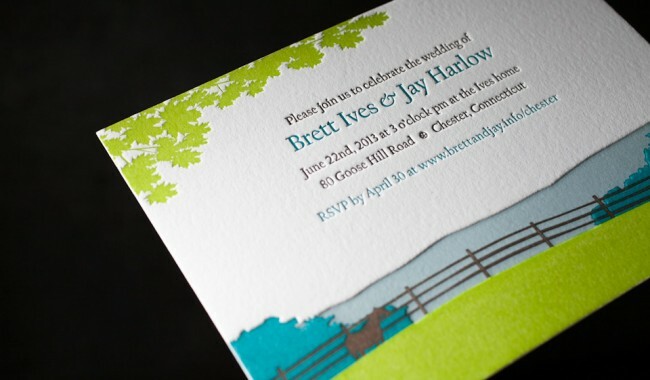 Jimmy was up to the challenge of printing 4 letterpress colors in a way that truly added a sense of depth and perspective.